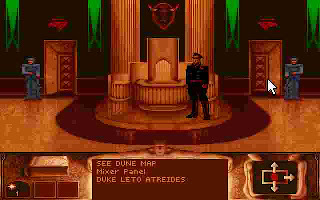 Dune is one of the most shocking game when I first see it in 1992. The 256-color VGA graphics and the Adlib soundtrack is top notch. In the credit scene, we will know that Adlib even send their engineer to assist in the soundtrack production. The Dune CD version comes with some extras, like full motion videos and full voice. 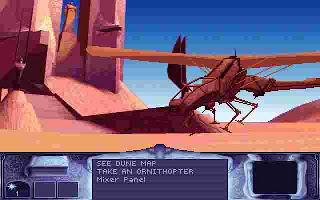 The flight scene is improved from sprite moving to 3D pre-rendered graphics. The voice acting is good enough for the production in 1990s. We start the game in our palace. 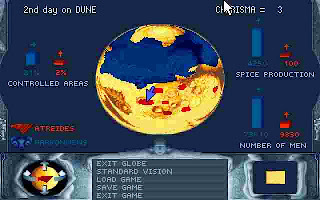 The main purpose of Dune is to recruit Fremen, gather mineral, train Army and fight with the evil Harkonnen. 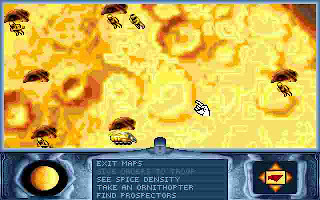 Unlike other strategy game, Dune comes with the adventure element. We need to fly around the planet, meet people and complete some important tasks in order to complete the game. See, below is the improved flying scene. One reminder is, it is pre-rendered, so it is repetitive too. 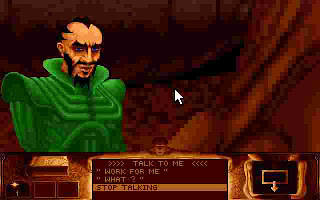 To recruit Fremen, we need to visit their site personally and talk to them. No other action required, just talk to them. It's hard to imagine the charisma of the main character. As the game progress, we will have more and more Fremen working for us. We can select their occupation in either Mining or Army. In later stage, we can also command them to work in Agriculture, after we meet with the mysterious old man. We can check the sphere of influence and our man power from time to time. In the beginning, it is quite demoralizing to see the Harkonnen far outnumber ours. 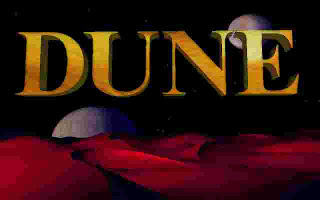 You can download Dune CD version with voice here. It's a rather big 220MB download. You can also download the soundtrack playing program here. The manual for Dune is available here. 1. 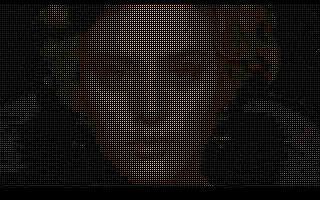 You run using DosBox 0.72 and above. 2. The files should be located at "C:\DUNECD" in DoxBox. 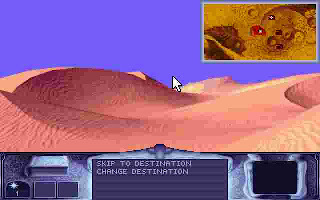 For example, if you store the program in "D:\DOSGAMES\DUNECE", you should type the command "MOUNT C D:\DOSGAMES" in DosBox. The archive is perfect, just tested it. I found it works fine, but there's no sound. any suggestions?